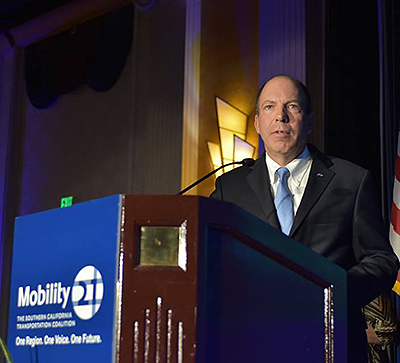 Mobility 21 is excited to bring together more than 1,200 transportation leaders and elected officials for the 17th annual Southern California Transportation Summit on Friday, Oct. 19 at the JW Marriott at L.A. Live. Registration, the breakfast buffet and the expo open at 7:30 a.m. and our Opening General Session will begin promptly at 8:45 a.m.
General Parking: Reduced rate self-parking is available for $18 to Mobility 21 Summit attendees in the L.A. Live West Garage – Lot W, Gate G. Please click here for a parking map and directions. Upon arrival at the garage, please let the attendant know you are with Mobility 21. Overnight parking is not permitted. ***Elected officials and conference speakers:*** Complimentary self-parking is available to elected officials and Summit conference speakers in L.A. Live West Garage – Lot W, Gate E. Please click here for a parking map and directions. Please request a validation ticket from the Elected Official registration table. Metrolink is offering complimentary roundtrip service to the Summit. Simply use your Summit registration ticket (either electronic or printed) as your Metrolink fare. Sr. Vice President, Majestic Realty Co.
Fran Inman directs government relations and community affairs activities for Majestic Realty Co., one of the nation’s largest privately held real estate development companies. With a real estate portfolio totaling approximately 84 million square feet of commercial properties, Majestic Realty has offices in Los Angeles, Atlanta, Bethlehem, Dallas, Denver, Fort Worth, Las Vegas and Laredo. Fran has served on the California Transportation Commission since 2010 and currently serves as Chair. In 2013, Fran was also appointed as a founding member of the National Freight Advisory Committee and co-chaired the sub-committee on project delivery and operations. Fran served as the chair of the board of the Los Angeles Area Chamber of Commerce and serves as vice chair for the California Business Properties Association (CBPA). 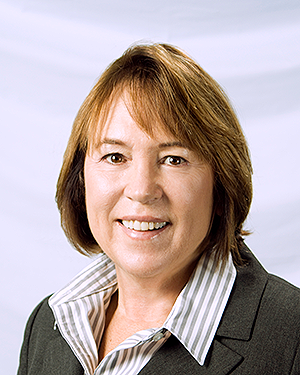 She is the former chair of the San Gabriel Valley Economic Partnership (SGVEP) and is also a founding board member of FuturePorts and a board member of Inland Action and the California Business Roundtable. She is also a long-time member of the Coalition of America’s Gateway and Trade Corridors. Also recognized as a leader in the philanthropic community, Fran is the founding president of the Majestic Realty Foundation. Established in 2002, the Majestic Realty Foundation provides grants and other support to various charitable community partners that work the areas of youth, family, education, health, and violence prevention in the communities where Majestic Realty Co. does business. Fran further demonstrates her commitment to active community engagement through her service as board member and former board chair of THINK Together, nationally-recognized non-profit providing extended learning programs that serve more than 150,000 at-risk and low-income students daily across California. She serves on the board of QueensCare, a $400+million foundation dedicated to providing healthcare for the underserved. Fran is also a trustee for Three Square, the regional food bank in Las Vegas, Nevada, and serves on the board of trustees for the University of Redlands as well as a member of UCLA Luskin School of Public Affairs Advisory Board, METRANS and the UC-ITS Advisory Board. A graduate of California State University, Fullerton, Fran holds both a BA and a MBA in finance. In 2010, Fran was awarded an Honorary Doctorate of Business Administration from Woodbury University. Mike Kraman is the Chief Executive Officer for the Transportation Corridor Agencies (TCA), which operates a 51-mile toll road network and manages 2,200 acres of protected open-space in Orange County. With more than 330,000 transactions per day, the 73, 133, 241 and 261 Toll Roads have proven to be a popular alternative to congested freeways in Orange County. Each trip on The Toll Roads improves mobility overall by relieving pressure on parallel highways and arterials. Under Mike’s leadership, finances have stabilized with the restructure of TCA’s debt profiles and positive year-over-year traffic and revenue trends. Transactions are at an all-time high, growing more than 20 percent since 2014. The reduced risk and steady growth have earned credit upgrades from the three major rating agencies. In August 2018, S&P Global upgraded TCA’s senior-lien debt to ‘A-‘ citing strong market economics, traffic growth, management and governance. 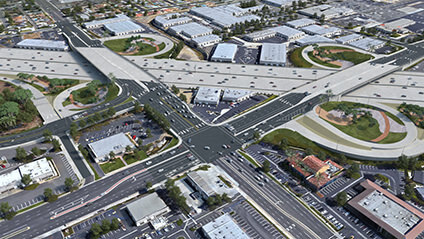 Mike spearheaded an ambitious outreach effort to redefine the Agencies’ path toward solving South Orange County mobility issues caused by worsening congestion on the I-5 Freeway. A significant outcome was the landmark settlement agreement in 2016 that ended a fifteen-year dispute between TCA and the Save San Onofre Coalition. This accomplishment was recognized by Mobility 21, SCAG and the California Transportation Foundation in 2017. The formal environmental review phase will begin in 2019. Mike is a graduate of the Coast Guard Academy with a Bachelor of Science in civil engineering and a Master of Science in civil engineering from the University of Illinois at Urbana-Champaign. He is a registered professional engineer in California and numerous other states. In 2017 Mike was named Person of the Year by the California Transportation Foundation. What will tomorrow’s transportation look like? Smart, green, automated, connected—all of the above? At Moffatt & Nichol, we have been privileged to share California’s journey forward as the state’s complex transportation systems have evolved and look forward to partnering in tomorrow’s innovations. As a young firm in the late 1940s, projects large and small led to great things for Moffatt & Nichol—Navy work led to port work, a street and railroad study for the Long Beach Harbor Department led to bridge design work for the city. This set the stage for Moffatt & Nichol to become a double threat, with planning and engineering design specialists for transportation infrastructure on land and in the water—expertise applied to innovative projects, such as the San Francisco-Oakland Bay Bridge and Transbay Tube in Northern California and the Heartland Corridor PPP project in the Southeast. 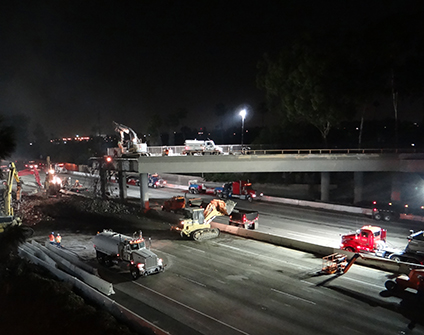 Moffatt & Nichol is also proud to have played a significant role in landmark Southern California projects, such as the I-405 Improvement Project (SR-73 to I-605), as well as the Alameda Corridor, San Gabriel Trench, Puente Avenue Grade Separation, and Montebello Corridor Grade Separation projects, which exemplify key elements in a connected transportation corridor that links our busy San Pedro Bay ports to the rest of the nation. At Moffatt & Nichol, we are excited about the future of California transportation and sharing the road forward, connecting California to national and global economies. The Los Angeles County Metropolitan Transportation Authority (Metro) held an event in September with state and federal officials and local stakeholders to announce the start of major improvements to the Metro Blue Line’s Willowbrook/Rosa Parks Station. The work will radically transform the fourth-busiest station in the Metro Rail system by improving access, expanding capacity, adding community space and better connecting the station to the surrounding community. Among other improvements, the station will have a new Customer Service Center, Transit Security Center, and Bike Hub. The open-air plaza has also been designed as a public resource to be used for community events, special exhibits, celebrations and movie nights. The $109-million improvement project is funded by a combination of local money and state and federal grants. Early construction work will take place over the rest of this year. In early January, the station will close for eight to nine months as part of the New Blue project to modernize the Blue Line, which opened in 1990 and is Metro’s oldest light rail line. During the closure, rail service to the station will be replaced by bus shuttles. “The Willowbrook/Rosa Parks Station Improvement Project is a welcome addition to the Willowbrook community and a positive step toward a more equitable transportation system. Safe, reliable, and affordable public transportation helps families better connect to education and job opportunities. My constituents throughout the 44th Congressional District will benefit greatly,” said U.S. Congressmember Nanette Diaz Barragán. Expansion of the Blue Line platform to reduce crowding, along with an overhead canopy to protect passengers from the sun and rain. The creation of a new pedestrian crossing and entrance on the south side of the extended Blue Line platform. Upgrades to the elevators, escalators, stairs and the mezzanine between the Blue Line and Green Line platforms. Consolidation and upgrades to the bus bays to provide a safer and more comfortable area for riders. New site-specific artwork by artists Jamex, Einar de la Torre and George Evans. January to May 2019: Rail service will be suspended from the Willowbrook/Rosa Parks Station to the Downtown Long Beach Station and replaced by Metro bus shuttles. The Blue Line will continue running between 7th St/Metro Center and 103rd St/Watts Towers Station. May to September 2019: Rail service will be suspended from the Willowbrook/Rosa Parks to 7th St/Metro Center and replaced by bus shuttles. The Blue Line will continue running between Compton Station and Downtown Long Beach Station. Red and Purple Line service will operate normally at 7th St/Metro Center. During the northern closure, Expo Line rail service will be suspended for 45 days at 7th Street/Metro Center Station and Pico Station with train service in that segment replaced by bus shuttles. Expo Line trains will continue to run between LATTC/Ortho Institute Station and Downtown Santa Monica. For more information on the project, visit the project page. A college bus pass program allows students at Santa Ana College – and beginning this semester at Santiago Canyon College in Orange – to get unlimited rides on fixed routes for any OC Bus (pictured here). Photo courtesy of the Orange County Transportation Authority. The Orange County Transportation Authority is expanding on the success of its college bus pass program that has helped increase ridership, introduced new riders to public transit and allowed some students to gain access to higher education who say they wouldn’t be able to attend college without it. This fall semester, the college bus program has been extended to Santiago Canyon College in the city of Orange, building on the success of the first year of the pass program at Santa Ana College. Through the end of the first school year at Santa Ana College, where the program began in August 2017, more than 900,000 boardings were recorded through the program. The college serves approximately 40,000 students, both through the college and through the School of Continuing Education. Students get a bus pass with their valid student identification card, allowing them unlimited rides on the OC Bus system for free. After the first year, students pay $6.75 per semester. A survey of students showed that overall 86 percent were satisfied with the college pass, nearly 70 percent of those who rode the bus to school chose to also ride OC Bus to other destinations, and 96 percent said using the pass helps them achieve their educational goals. Based on that initial success, OCTA looked at opportunities to expand the college pass program to other Orange County campuses. 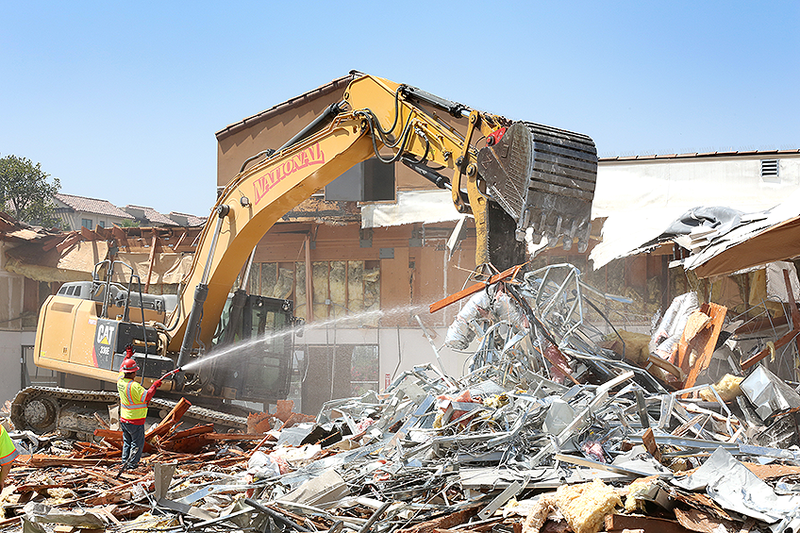 Beginning in August, the program came to Santiago Canyon College, also part of the Rancho Santiago Community College District, hoping to reach another 9,000 students. Through that program, full-time students will pay $5 each semester for unlimited OC Bus rides. The typical cost to ride the OC Bus system is $2 per ride, $5 for a day pass, or $185 for a full-semester student bus pass. More than 80 percent of students at Santiago Canyon College who voted on whether to bring the college pass to their campus, voted in favor. This effort is part of OCTA’s OC Bus 360° initiative, which is enhancing bus service in Orange County by maximizing existing resources and tailoring transit solutions to meet market demands. 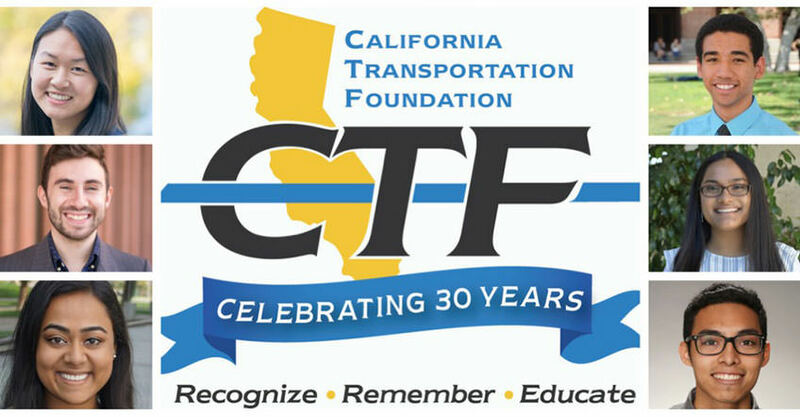 The California Transportation Foundation (CTF) has awarded $1.1 million in scholarships since its founding in 1988. CTF invites students to apply to more than 35 scholarships, some of which have specific deadlines and application windows. To qualify for CTF scholarships, recipients must be intent on a career in transportation, attend a school in California, and be U.S. citizens, permanent residents or documented, international students. Visit www.transportationfoundation.org/scholarships to download CTF scholarship applications and instructions. CTF scholarships are awarded competitively and are available to students at all levels, including high school, undergraduate, and graduate students. Several scholarships target specific populations of importance to donors. These requirements often relate to specific Caltrans Districts, functional areas, school districts, or other concerns. The Self-Help Counties Coalition is excited to present the 29th Annual Focus on the Future Conference, taking place Oct. 28 – 30, at the Renaissance Hotel in Indian Wells. The Focus on the Future conference provides a forum for Self-Help Counties and other transportation agencies, elected officials, and the private sector to share experiences, highlight upcoming projects, and interact in a relaxed environment.